Mamaki is the major host plant for the larvae of the Kamehameha butterfly one of the only known native butterflies. It is a large shrub or small tree found in the open forests in the nettle family. The leaves are light green above and whitish beneath. 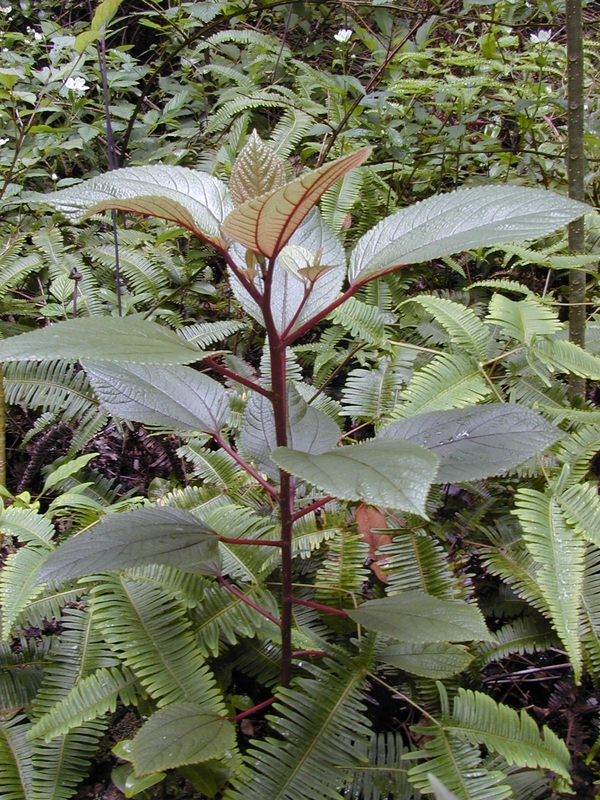 The leafstalks and veins are red and sometimes green. The flowers are clustered. The fruits were occasionally used as medicine but the major use of the plant was in the production of kapa or bark cloth. Fresh māmaki leaves were combined with hot stones and spring water by the Native Hawaiians to produce an herbal tea for medicinal use.